Efod Art Embroidery designs Judaica for synagogues, individuals and families. We specialize in fusing Jewish and biblical themes, Hebrew texts and Israeli motifs. All our designs feature a variety of handmade textile techniques and are made from the finest materials in our Nahariya studio. If you are visiting Israel, please stop by our Jerusalem gallery, located at the foot of the Old City walls in Hutzot Hayozer. 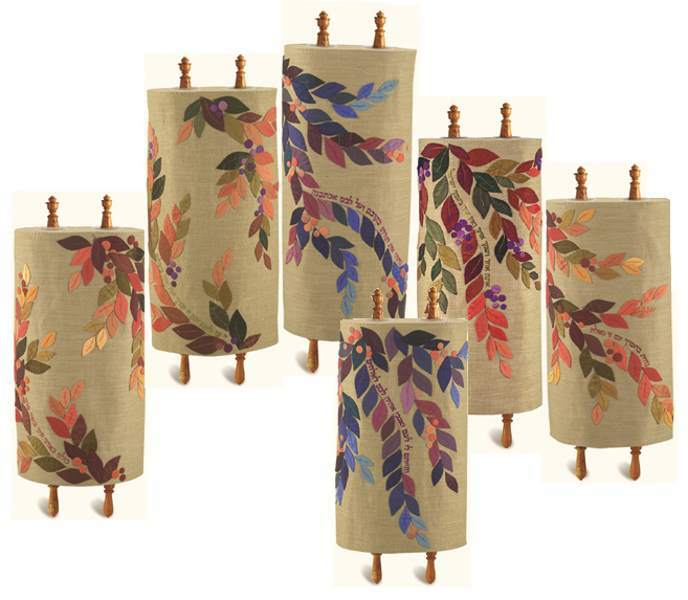 We invite you to view the selection of Paraochot, Torah Mantles, Chuppot, Talitot, Challah and Matza Covers and Wall Hangings on this site. A limited number of samples appear here, so please so please do contact us by E-mail : efodart@gmail.com or by phone+972-4-9828304 to see an even wider selection of well-designed items. Together we can create a perfect addition to your synagogue or home. 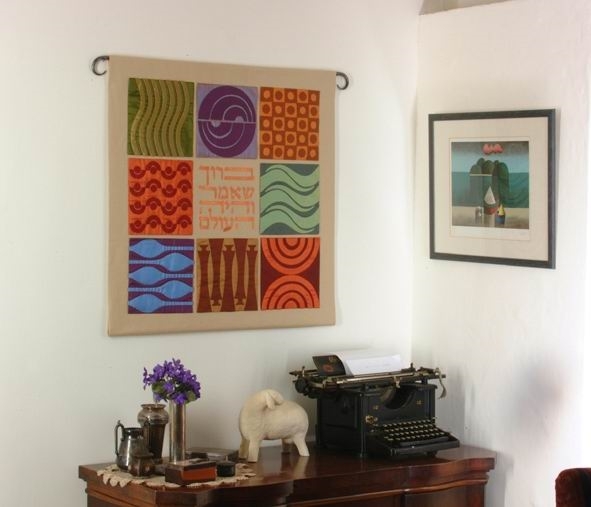 The Efod Art Studio in Nahariya has been designing unique hand embroidered Judaica for synagogue and home since 1982. Located in Adina Gatt’s home, the designer and a handful of embroiderers — each with her own story, nationality and textile expertise — work side-by-side to create elegant, deeply-textured pieces. Adina was born and raised in Hadera by a family whose love of the land and its seasonal rhythms was well-grounded in Biblical text. Her love of Hebrew and her intuitive connection to tradition are obvious in her inspired selection of text honoring a variety of commemorative or life cycle events.